FASHIONALITIES: Fashionair has a new episode of Style Counsel today! 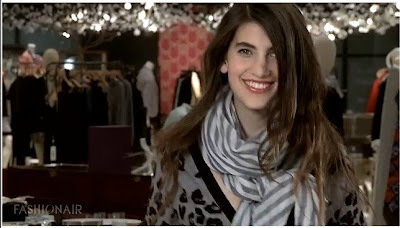 Fashionair has a new episode of Style Counsel today! Learn how to wear your favorite stripes for this spring and summer with Style Counsel on Fashionair! My mom and sister wore stripes yesterday and didn't even plan it, so get ready! Plus, there is a new style counsel member, Paul Baptiste-the first male I have seen on the show! I can't wait to see his perspective on fashion! I love how brown belts can be so unxpected with looks these days-genius! I need a white blazer for this spring, how about you? Well your article helped me altogether much in my college assignment. Hats afar to you post, will look ahead for the duration of more interrelated articles promptly as its sole of my pick subject-matter to read.